You are here: Home / Money Savin' / Amazon Love / Apple iPod Touch 16 GB (Newest Version) for just $188.00 + free shipping! 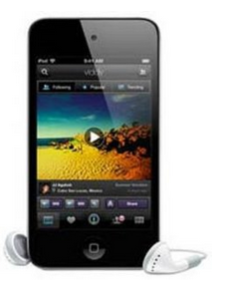 Apple iPod Touch 16 GB (Newest Version) for just $188.00 + free shipping! Ipod Touch 16 GB is now priced at just $188.00 on Amazon.com – plus get FREE super saver shipping. These are rarely ever discounted so get it while its at this hot price! Plus you could use that $5.00 off $25 promotional purchase to get your ipod for just $183 if you wanted to. FYI this is the 4th generation classified as current version not the Newest version (5th Generation) that just came out in all the pretty colors and size of the new iphone 5. They don’t make the 16gb in the newest one yet either Sorry I wish it was the 5th!